As a trainer of elite working dogs for law enforcement, military and personal use, I’m often asked what one should consider before acquiring a personal protection dog. Of course, there are as many factors as there are life situations. Borrowing some terms from the finance world, I’ve listed three key considerations. Exposure: How vulnerable are you and your loved ones? Do you frequently travel while your family stays behind? Are you or your partner in a highly visible position at work or in the community that puts you at risk from disgruntled fans, employees or constituents? Bottom line: even “very nice” people can end up in very ugly, threatening situations. Security: What measures are currently in place? Gated communities, alarm systems and personal firearms are all effective deterrents. Although unlikely, each can be compromised—even used against you. A precision trained protection dog will alert you to danger before the alarm sounds, and mitigate the threat while you call 911. Balance: People say, “My dog always barks when someone approaches the door.” Good! A barking dog is a good deterrent. But an intruder determined to do harm will cause the typical family dog to cower or run. Your personal protection dog discerns real danger and will not back down, even from the most hostile aggressor. A personal protection dog is not for everyone. As with any skilled team, keeping a dog and its owner in sync and prepared is an ongoing commitment. But for those who have made the decision to move forward with a dog as protector, the relationship can be extremely fulfilling. A loving and gentle dog can truly defuse a threatening and frightening situation. The canine species is the most loyal animal known to man, and no one knows this better than the owner of a personal protection dog. George Daniolos is founder of K-9 Defense, LLC, and serves as BNSF Railway Police K-9 Master Trainer throughout the U.S.. 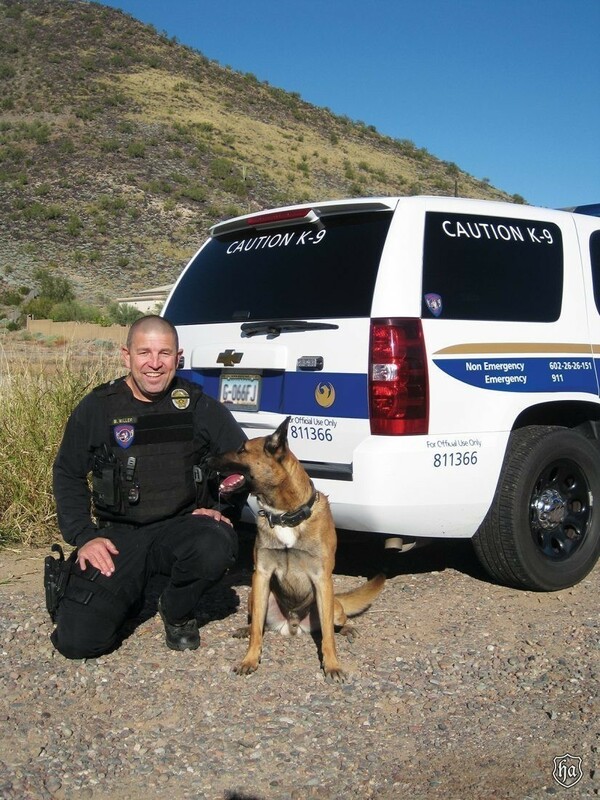 He is the Training Consultant on staff at the Maricopa County Sheriff’s Office K-9 Unit, as well as the Security Staff K-9 Program Trainer at Dignity Health, a major hospital system in Phoenix, Arizona. 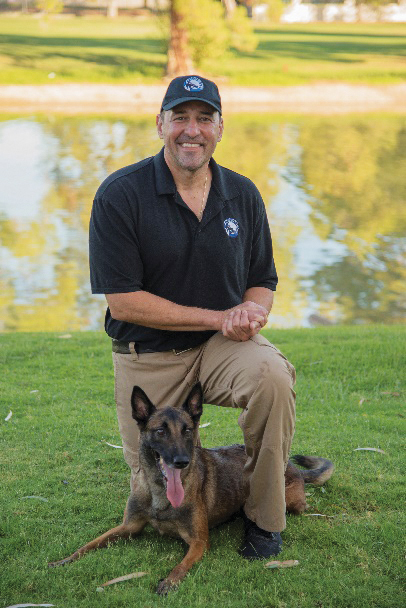 As Director of Training at K-9 Defense’s sister company Desert Drug Dog, George works with private sector detection dogs ensuring schools, businesses and private homes are free of drugs and contraband. 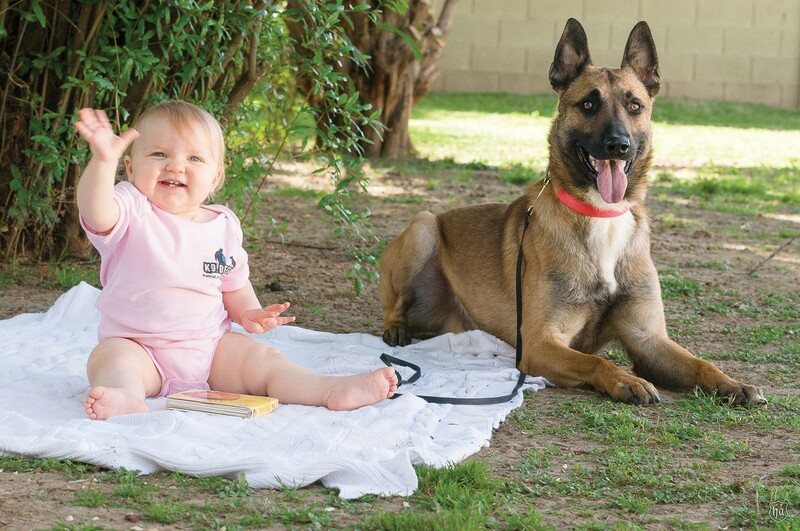 Over the past 20 years, Mr. Daniolos has developed techniques that foster and protect the special bond between handler and K-9. He employs a science-based training program to produce the most efficient and dependable teams on the street. He has titled, trained, raised and developed champion dogs for personal protection, law enforcement, private security and the military. George is a frequent contributor to K-9 Cop Magazine and Police K-9 Magazine, and a regular speaker at K-9 Officer conferences and seminars.